The relentless flow of invention and modernization over the ages has left very few things in the world remaining as valued or relevant as they were centuries ago. 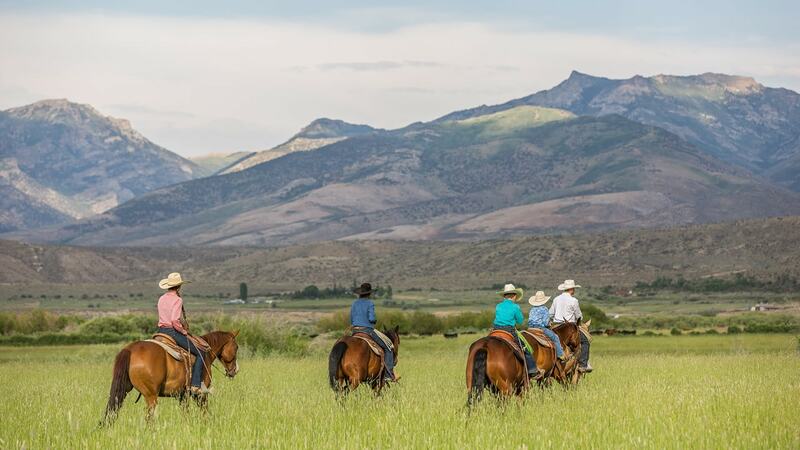 One exception is a true bridle horse– a horseman’s treasure from the time of the early California Spanish land grants to the era of modern cattle ranches and show pens. 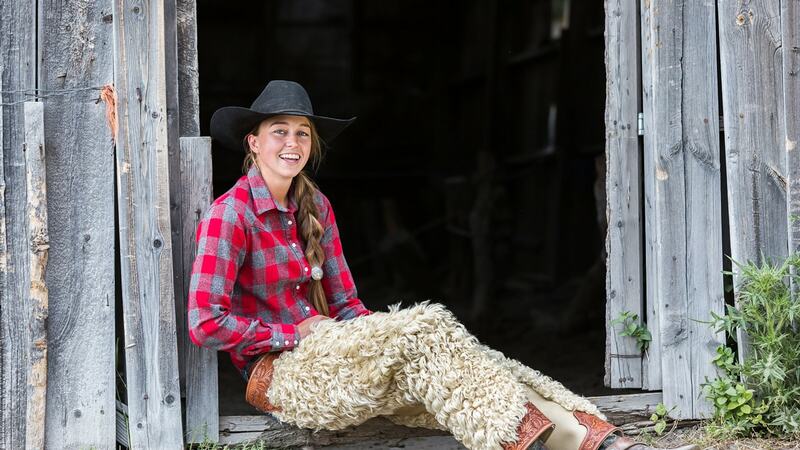 While it is undoubtable that progress has been made in training and equipment-making techniques, the process of bringing a horse through the four stages of vaquero horsemanship is one that, no matter how technologically advanced society becomes, cannot be accomplished by any other means than a horseman’s skill and experience. The vaquero of California inherited the science of la jineta (roughly translated as dressage) and adopted it to the working of cattle and the lassoing of grizzly bears, buffalo, elk, and any other animal he met in the course of his riding. The sliding stop, the spin to the right or to the left, the trot backwards, the testerazo (the blow with the horse) were retained, while the uses of warfare, such as the capriole, in the execution of which the horse leaps into the air and kicks to rid himself of clinging enemies, while very useful to the Spaniards when Aztec warrior swarmed around them, were discarded when the soldiers settled on the ranches to raise cattle. Whereas a soldier in the heat of battle had little attention to spare for measuring his movements and cues to his mount, without immediate threat to life and limb, the Spanish vaqueros could experiment with getting the most action from a horse with the least amount of pressure. In those days, colts were commonly started at five years of age or even older, and so a horse might not be finished in the bridle until he was around ten years old. The creation of bridle horses made the vaquero’s work more easy and enjoyable, and it follows that man’s competitive nature would make training and owning such a fine and sensitive animal a great status symbol, especially given the substantial investment of time in creating one. Of course, a horse does not become a bridle horse simply by putting a curb bit in its mouth. The point of the long process of making a bridle horse is to nurture and guide him through all of the stages of training, so that when he is straight up, he understands the different cues and what they ask of him. There is a great variety of bits available to today’s horseman, and it is important to understand the principles behind their construction. It’s common to mistake shank length of a bit for severity, but the leverage of a bit is determined by the mouthpiece placement in relation to the length of the shank (cheekpiece). The tightness of the curb strap also plays a vital role, since it determines how quickly the bit engages. To determine the mathematical leverage ratio, measure from the middle of the mouthpiece to where the headstall attaches, and measure from the middle of the mouthpiece to where the rein attaches. Divide the bottom measurement by the top measurement. For example, a bit with 6 inch shanks and the mouthpiece in the middle would have a 1:1 ratio and thus the same leverage as a snaffle bit. A bit with 6 inch shanks with an inch above the mouthpiece and 5 inches below would have a 5:1 ratio. Different degrees of leverage naturally serve different purposes, and of course the other components of bit construction are also important. There are a number of different ports available as well, all of which provide different functions and feel different in a horse’s mouth. Differences in individual anatomy as well as simple preference contribute to how well a horse will respond to a bit. For example, some horses enjoy rollers or a cricket, which help keep the mouth moist and responsive, while a tongue relief bit prevents the horse from being able to keep the pressure off the bars of his mouth. The spade bit is often misunderstood because of its appearance, but it was originally designed to be used as a signal bit—not a leverage bit—on only the most highly trained and trusted horses. 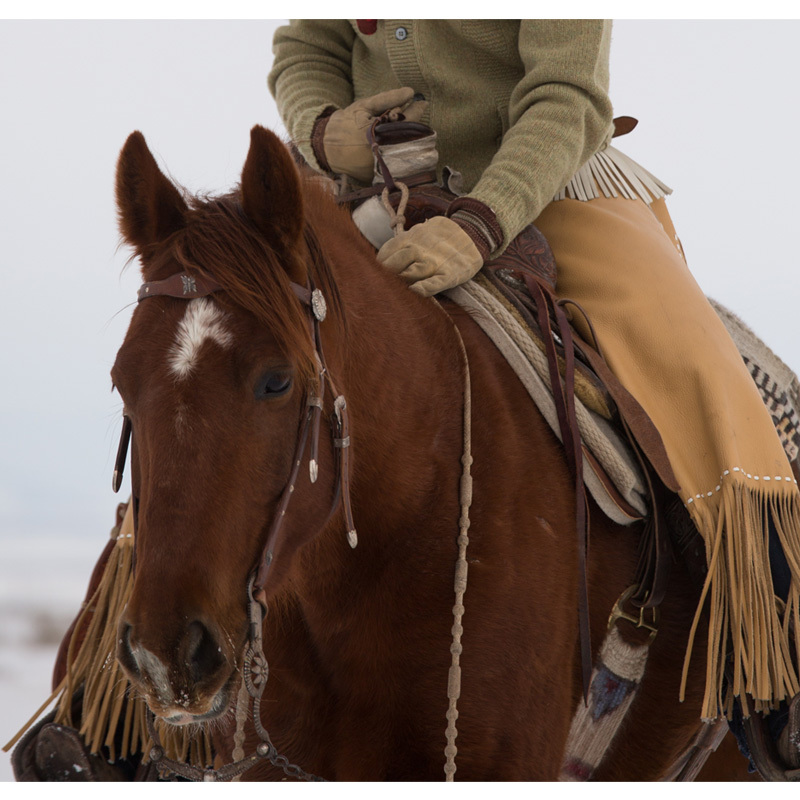 The bits were created to encourage the horse to hold onto the mouthpiece and carry it. The straight mouthpiece does not offer tongue relief, and so gives responsibility to the horse to carry it on his tongue. The braces give more for the horse to hold on to, and also slow the rotation action when there is pressure on the reins. A true spade bit horse will carry the bit and respond to it from the merest touch on the reins, and since the spade is was not originally intended to be a leverage bit, purists will sometimes not use a curb strap—nor will their horses require it. It could be said that the spade bit is the fifth stage of vaquero horsemanship since not all bridle horses will make a spade bit horse. 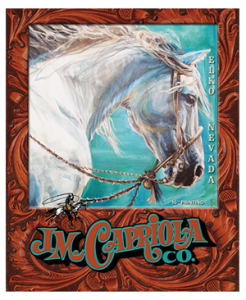 Spade bit horse or not, the bridle horse has been a pinnacle of achievement and point of rightful pride among horsemen across centuries, and JM Capriola’s is proud to be a guardian of such a beautiful and timeless tradition.